Laura's Miscellaneous Musings: Happy Birthday, Robert Montgomery! 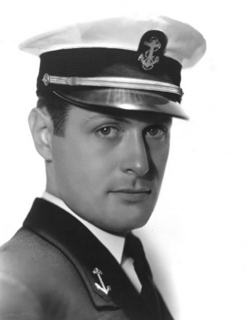 The wonderful Robert Montgomery was born on this date in 1904. It's no secret here that Mr. Montgomery has become one of my favorite actors. Montgomery's work was rather overlooked by film fans for many years, I believe in large part as most of his films weren't easily available for viewing. Happily, the vast majority of his films can now be seen on Turner Classic Movies. If posts at other classic film blogs are any indication, Montgomery's legion of fans is growing with each passing month and year. He was an exceptionally talented man who, in addition to being a fine actor, was a skilled film and theatrical director. Turner Classic Movies is marking the day with an eight-film marathon. The titles include THE BIG HOUSE (1930), THE DIVORCEE (1930), PRIVATE LIVES (1931), FAITHLESS (1932), HIDE-OUT (1934), NIGHT MUST FALL (1937), THE LAST OF MRS. CHEYNEY (1937), and LADY IN THE LAKE (1947). Classic Montgomery is also celebrating today! Robert Montgomery. He has long (and I mean long) been a favorite. I love his work and his film career in some ways travelled a path similar to that of his life. From a marvelous comedic presence to the weary bravery of Expendable -- a portrayal surely stemming from his war service. And then on the other side of the camera in the underplayed Gallant Hours, not often mentioned among Cagney’s films. I'm always happy to hear from another Montgomery fan, Gerald! Thanks so much for stopping by today.